If you’re like most online marketers, you’ve probably spent a great deal of time perfecting your site’s usability, crafting your copy, and making your calls to action hard to resist. That’s important to get your site to convert well, but don’t forget about these five digital marketing strategies. Their return on investment is huge. Some businesses don’t put too much focus on the load speeds of their pages. They use images without specifying dimensions and a lot of code that bogs down load speeds. Research done by the Aberdeen Research Group revealed that a one-second delay in load times resulted in a 7% decrease in conversions. Mozilla saw a 15.4% increase in downloads when they increased their page load speed by 2.2 seconds. To see how you stack up, you can see how your site speed compares to the top 1000 sites that get the most traffic at Fasttimes. 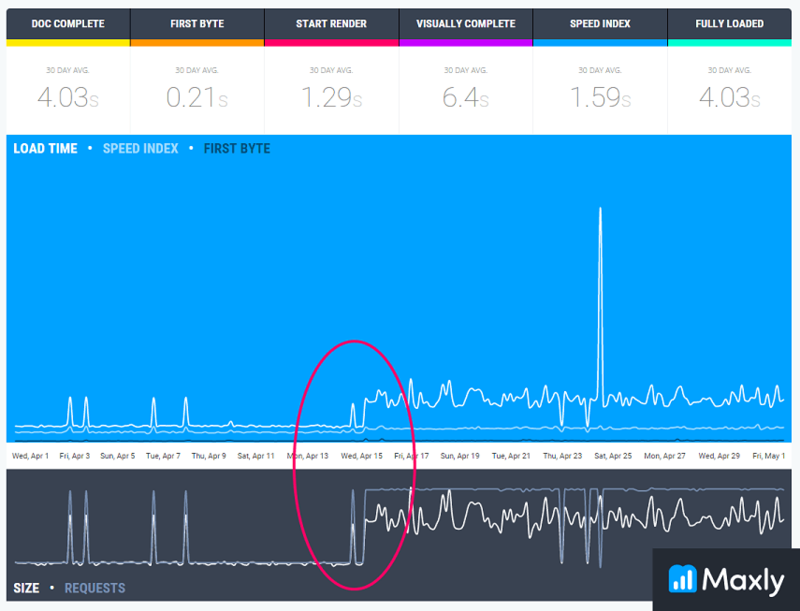 And if you’d really like to stay ahead of the game, you can use platforms such as Maxly that provide continuous monitoring with hourly updates on your site’s speed. There are things that affect your site’s speed that you might not even know about. Third-party scripts can block elements causing your speed to slow down. Changes by your provider may also be detrimental to site speed. Regular alerts will let you know if that’s happening. A site redesign can also be dangerous if not monitored. The screenshot below reveals that after a redesign, Twitter’s site speed tripled from two seconds to a six-second load time. File requests went from 12 to 86. Continuous monitoring isn’t just valuable to the businesses monitoring their sites. It’s also valuable to designers to make sure they’re giving their clients a site with optimal load times to ensure optimal conversions. You can check your page load speed for free, without continuous monitoring, if you have a Google Analytics account. Besides affecting your conversions, Google and other search engines have made it clear that page load speeds will have a direct impact on rankings. So if your pages aren’t lightning-fast, don’t expect to rank very high. I always take a look at what my client’s competitors are doing when I conduct a website audit. How else will you be able to beat them if you don’t know what they’re doing? Each industry is specific, and it’s important to know the particulars of your client’s industry. That doesn’t mean do everything their competitors are doing—they might be doing it wrong. But it’s an opportunity to test what those competitors do. You can even go a step further and “spy” on what you’re competitors are doing. Kompyte visits the websites, advertisements, social profiles, and newsletters of your competitors in real time. Every time one of your competitors changes their prices, adds a new banner, launches a campaign, or a new competitor comes onto the scene, notifications are sent immediately. Singularu is an ecommerce marketplace that connects jewelry consumers and jewelry designers. They use this solution to see what their competition is doing. You probably already know about the importance of target marketing. Speak to everyone, and you really are speaking to no one at all. Personalization takes that a step further and tailors the user experience to meet each visitor’s specific needs or wants. That could come in the form of a personalized greeting or being presented by pages you might be interested in, as you often see at Amazon. The more you can speak to your visitor’s exact needs and wants, the better chance you have of getting them successfully through your funnel. Brainshark implemented the Evergage personalization platform in an effort to get their Slideshark freemium users to sign up for a 30 day trial. In doing so, they were able to educate, cross-sell, and upsell users by coordinating user behavior with personalization features. Brainshark could show users features at just the right time to encourage signing up for the trial. They also delivered targeted messages to promote webinars, ebooks, and PowerPoint templates with personalization on their website. The strategy provided impressive results. Slideshark saw a 150% increase in trial sign ups and a 15% increase in webinar registrations on their site. They also experienced nine times more sales inquiries. Overall, $1.1M in Brainshark’s pipeline was influenced by implementing Evergage’s personalization solution. 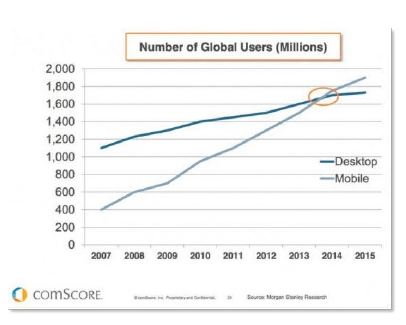 comScore revealed that mobile internet usage surpassed desktop internet usage in June of 2014. Mobile internet usage is here to stay. comScore also reported that four out of five consumers are shopping on smart phones, and that 78% of searches conducted on a mobile device end in a purchase. Furthermore, a study conducted by iACQUIRE revealed that if a search result was not mobile friendly, 40% would choose a different search result. They also reported that an online action occurred within an hour in 70% of mobile searches. This percentage is three times higher than the same searches done on a desktop or laptop. It’s vital that you support the visitor experience for your mobile audience. It’s also vital that you market to them on their terms. Responsive design that caters to your visitors’ screens and mobile-optimized sites designed specifically for smart phones is your first step. Marketing is your next. Text messaging campaigns have been shown to be highly effective. You can also market to your mobile audience with mobile apps like Instagram, Facebook, and YouTube, or create your own app. European private charter company PrivateFly needed to help mobile users find the best private aircraft at the best price. Qburst helped by creating an app that let users indicate their flight dates along with departure and arrival airports. Detecting the current location of the traveler, the app then detects and displays airports within 50 kilometers, along with pricing. That’s right—go after them. Don’t chalk them up as a loss. You spent a lot of money to get them to your site in the first place. You’re not the only one losing visitors. Baymard Insitute reports that 65% of all shopping carts are abandoned. It’s also believed that 70–90% will abandon your site altogether. One company was losing 17% of their revenue to shopping cart abandonment, until they decided to go after their abandoned visitors. 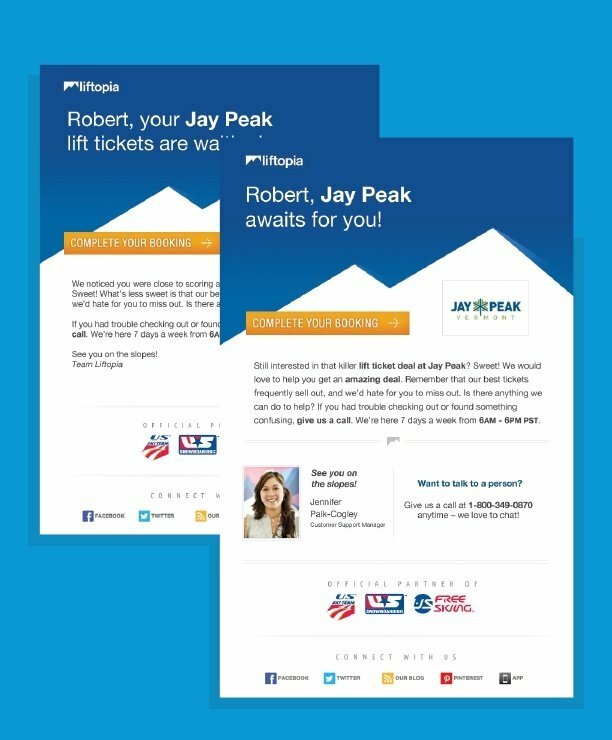 The largest technology platform in the mountain and ski industry, Liftopia, couldn’t figure out why they were losing so many visitors who had added an item to their cart, especially since they were offering incredible deals (up to 85% at approximately 250 alpine resorts in North America). They implemented the Rejoiner retargeting platform and quickly realized they were losing close to 1.3 million dollars during their prime season due to shopping cart abandonment. Working with Rejoiner, Liftopia was able to create an effective strategy that sent an email to visitors 30 minutes after they abandoned their shopping carts, and then again after 24 hours. The campaign added intelligent frequency capping to avoid annoying recipients with too many emails. It also included a personalized salutation along with the details of the purchase they had left behind. Upon clicking the link within the email, they were taken to their previous session through dynamic cart regeneration in order to complete their transaction with ease. By implementing this strategy, in four months’ time Liftopia was able to recover and add $714,251.16 to their top line revenue. If they hadn’t, shopping cart abandonment would have cost them 17% of their revenue. 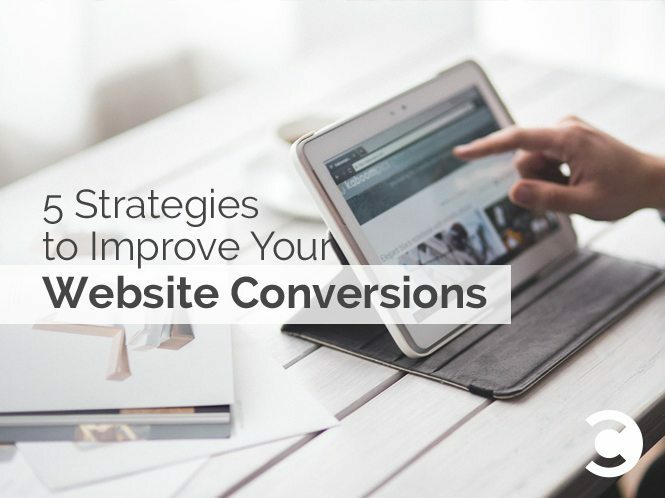 How Will You Improve Your Conversions? Getting your site optimized for conversions is a great start. If you really want to take advantage of all the opportunities available, implement the strategies listed above. Lightning-fast page load speeds will give you higher conversions and help you rank higher on search engines. Watch what your competitors are doing so that you are able to beat them. Sell to each visitor directly by tailoring your message to fit their specific needs and desires. Market to the many that are ready and waiting with mobile devices in hand. Don’t let abandoned visitors just slip away. There is hope in recapturing them along with your marketing dollars. In implementing these strategies, you should expect a great deal of growth to your bottom line.